How to get around Lappeenranta? Looking for new customers, partners or financiers from Europe or Russia? The global economy is looking for new technology and thinking – for sustainable and equal economic development around the world. The new green growth economy needs new skills, new people and innovations. The EU-Russia Innovation Forum, now arranged for the fourth consecutive time, brings together leaders with fresh perspectives, researchers with the latest knowledge, and pioneering business enterprises. The forum offers a unique and inspiring networking opportunity for sharing ideas and conducting business on green growth. 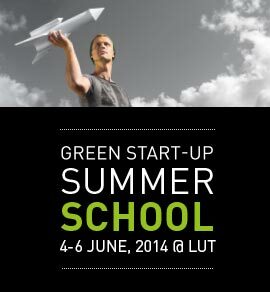 The event will be held on the award-winning Green Campus of Lappeenranta University of Technology. Join us and be part of the new growth! Knowledge is our only enduring asset." Knowledge-based entrepreneurship, for example by academic start-ups, is a trend in the 2000s that continues to grow."